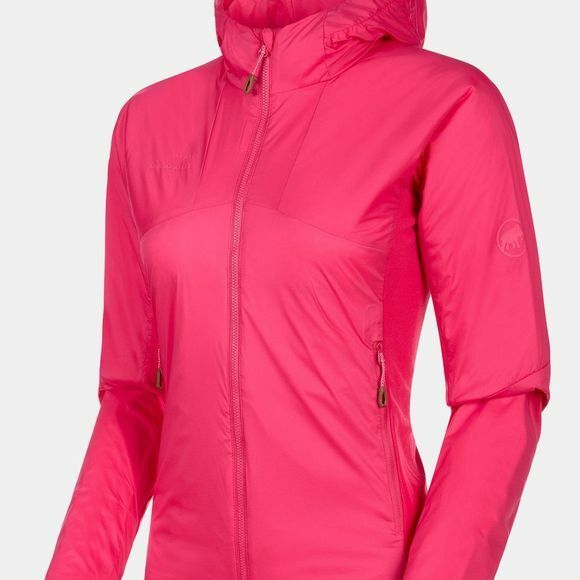 You won't want to take this jacket off again: as an insulating jacket, the Rime Light IN Flex Hooded Jacket Women impresses with a novel hybrid construction. Its high breathability allows perspiration to wick to the outside. Elasticated stretch inserts in the right places provide maximum freedom of movement. The hood, which fits over your helmet, will protect you even from storms and other sudden changes in the weather. 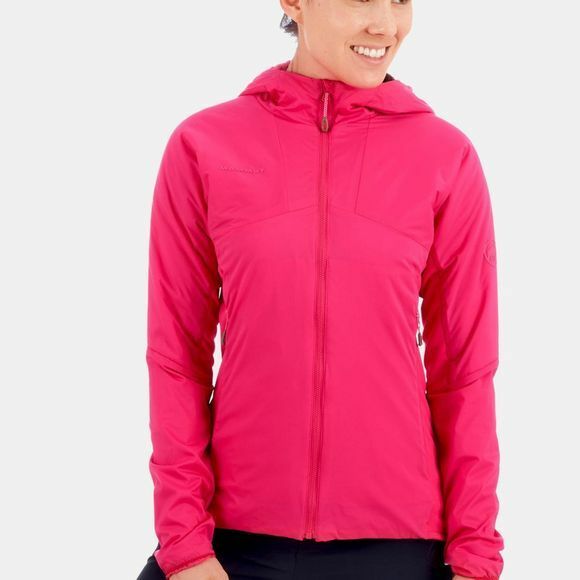 This makes the Rime Light IN Flex Hooded Jacket Women a practical jacket that, as well as providing insulation, also creates a stylish look as a mid-layer or soft shell jacket for all outdoor activities.